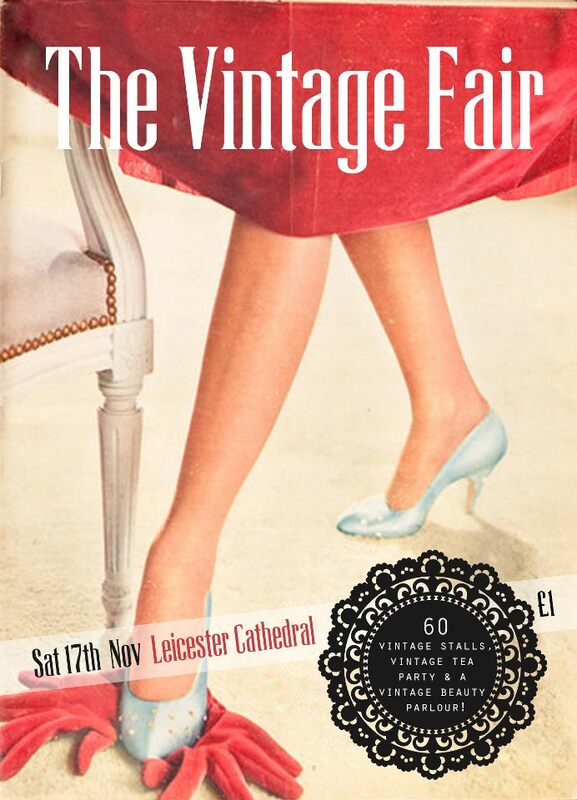 Just to let you know that I will be back in Nottingham running the vintage salon for LouLou’s Vintage Fair on Sunday 20th November. There are still spaces available but hurry, they are filling up fast! You will be able to book time slots at 15 minute intervals at 00 / 15 / 30 / 45 past each hour from 10am – 4pm. These slots will work on a queue jump system, this means that I will be running the pop-up salon on a first come first served basis however for those of you that pre-book a time slot, when you arrive you will be able to skip straight to the front of the queue. There may be a short wait only if there is someone already in the chair. I run the salon this way as it allows some flexibility incase anyone is running late or has to cancel. If you would like to pre-book a slot then you can contact me via the form at the bottom of the page and let me know what treatment(s) you would like and a 1st and 2nd choice of time slot then I can get you booked in. If there are any services not listed that you would like please let me know and I’ll see what I can do for you. I will only be taking cash on the day but if you would prefer to pay by paypal this can arranged prior to the fair. (Please contact me for details and please note no paypal refunds are given if you are unable to make the fair). I will be running the POP-UP PARLOUR at the Nottingham Play House this coming Saturday for Nottingham does Vintage. Spaces still available! Email info@sarahrussell.co.uk or fill out the contact form below to get booked in. Go on … get pampered ready for that night out or belated Valentines date. You will be able to book time slots at 15 minute intervals at 00 / 15 / 30 / 45 past each hour from 10:30am – 4:30pm. These slots will work on a queue jump system, this means that I will be running the pop-up salon on a first come first served basis however for those of you that pre-book a time slot, when you arrive you will be able to skip straight to the front of the queue. There may be a short wait only if there is someone already in the chair. I run the salon this way as it allows some flexibility incase anyone is running late or has to cancel. If you would like to pre-book a slot then please let me know what treatment(s) you would like and a 1st and 2nd choice of time slot then I can get you booked in. 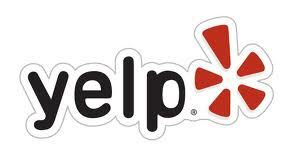 If there are any services not listed that you would like please let me know and I’ll see what I can do for you. I will only be taking cash on the day but if you would prefer to pay by paypal this can arranged prior to the fair. (Please email me for details). 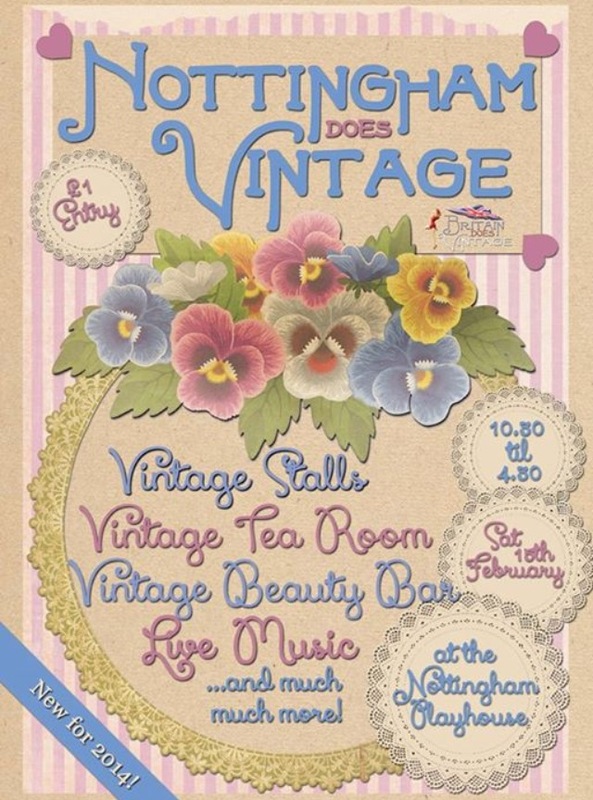 Click here for more information about the Nottingham Does vintage Fair. 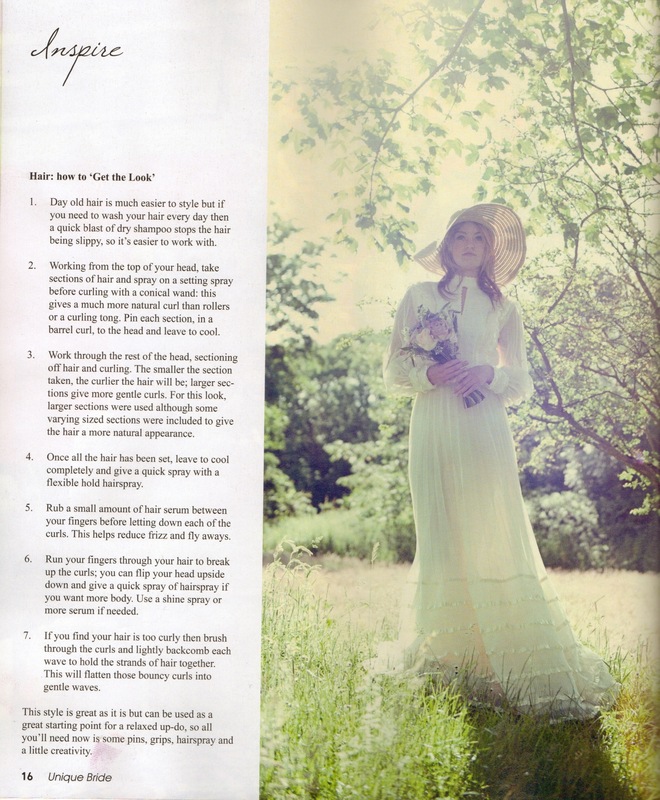 If you have managed to bag yourself a copy of Issue 3 of Unique Bride you will have seen that they featured a ‘summer of love’ spread and we were also lucky enough to be put on the front cover. 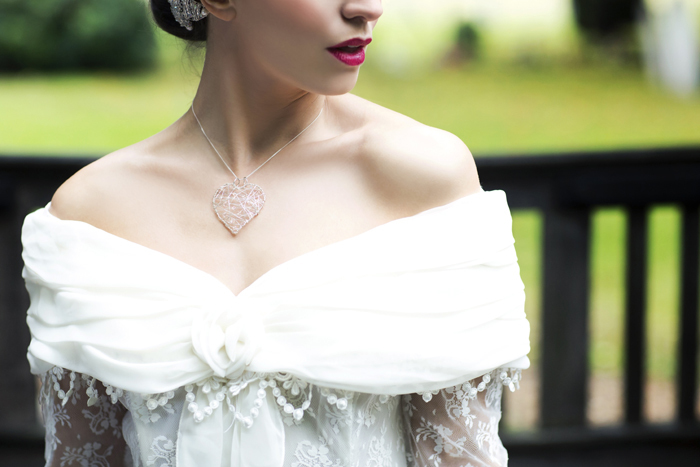 For more details on the photo shoot see my previous blog post here. 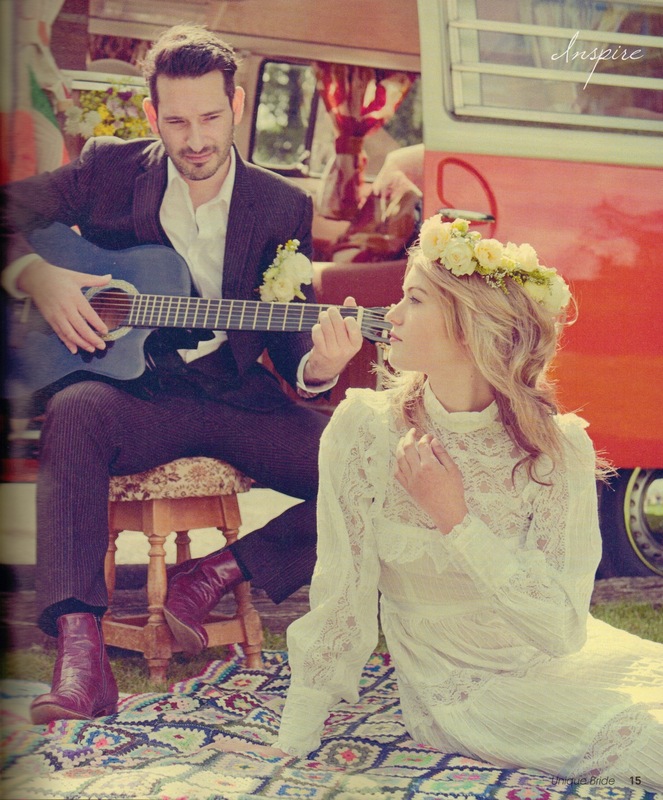 “As the brief for this shoot was to portray the hippie 70s and a couple eloping to get married in a camper van we decided that hair and makeup should be kept very natural and relaxed. The main focus for the makeup was to enhance what was already there, so the brows were defined, a light eye liner was used and a natural lip and blush. 1. Day old hair is much easier to style but if you need to wash your hair every day then a quick blast of dry shampoo, after your blow dry, stops the hair being so slippy, so its easier to work with. 2. Working from the top of your head take sections of hair and spray on a setting spray before curling with a conical wand, this gives a much more natural curl than rollers or a curling tong. Pin each section, into a barrel curl, to the head and leave to cool. 3. Work through the rest of the head, sectioning off hair and curling. The smaller the section taken the curlier the hair will be, larger sections give more gentle curls. For this look larger sections were used although some varying sized sections were included to give the hair a more natural appearance. 4. 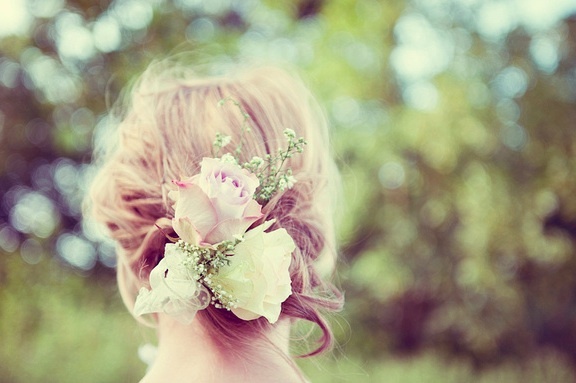 Once all the hair has been set, leave to cool completely and give a quick spray with a flexible hold hairspray. 5. Rub a small amount of hair serum between your fingers before letting down each of the curls. The serum on your fingers helps reduce frizz and fly aways as you let out the curls. 6. Run your fingers through your hair to break up the curls, you can flip you head upside down and give a quick spray of hairspray if you want more body. Use a shine spray or more serum if needed. But don’t over do it as you still want a few wispy bits. 7. If you find your hair is too curly then brush through the curls firmly and lightly backcomb each wave to hold the strands of hair together. This will flatten those bouncy curls into gentle waves. 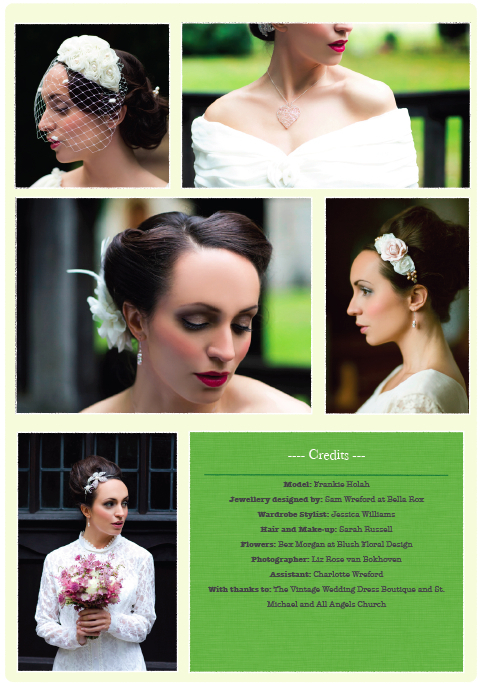 This style is great as it is but can be used as a great starting point for a relaxed up-do, so all you’ll need now is some pins, grips, hairspray and a little creativity.” – SGR Vintage Hair & Makeup for Unique Bride Magazine, Issue 3. After numerous days (and some very late nights) glued to my computer SGR Vintage’s NEW LOOK website is finally here! Phew! So come on in and take a look around. I really hope you enjoy it but if you find that any links aren’t working, find the layout confusing or can’t find what you are looking for then please let me know via the contact form. There’s lots going on so make sure you check out my blog to get your fix of all things vintage and beauty, with lots of how to guides and product reviews. If you want to come and meet me and find out what it’s all about then you can find all the events I’ll be popping up at here. 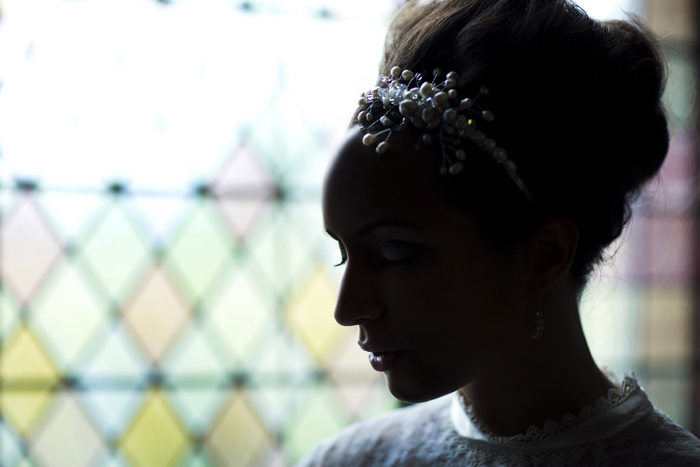 Come and join me at the I do .. 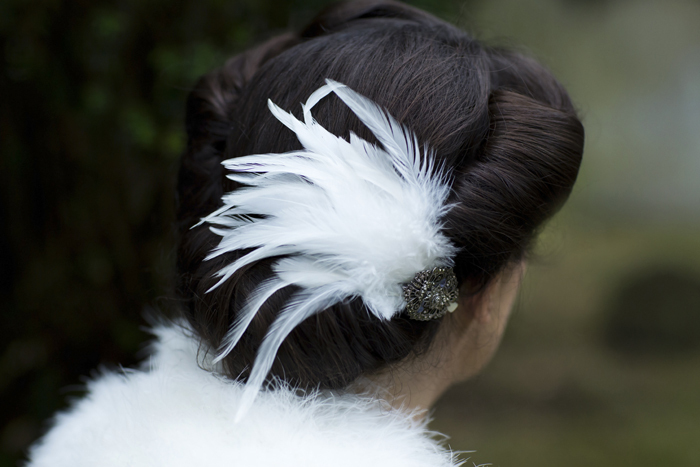 IN VINTAGE wedding fayre this coming sunday, 29th July, and you can get that barnet styled into a super beehive for only £10! And on top of that we are running a special promotion to everyone that comes to an event so make sure you visit the stand to pick up your 10% OFF all bridal services sticker. Bargain! Don’t worry if you can’t make this event we will be offering other special offers and competitions so keep an eye on our Promotions page. You can have a goosey ganders at my portfolio and you can also see what I’ve been up to in the world of film and theatre. And to make sure that you don’t miss out on any of it sign up to my newsletter and follow my blog.